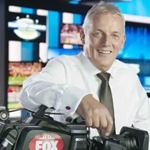 Fox Footy commentator Sandy Roberts has announced his retirement after 46 years in television. Roberts began his TV career at BCV8 in Bendigo. He then joined Adelaide station ADS7 in 1973 as announcer and presenter, including co-hosting the Logie-winning Adelaide version of Penthouse Club with Bob Francis and Anne Wills and was also a stand-in host on Blind Date (pictured). 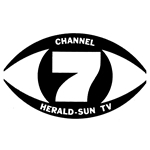 In 1980 he was a commentator for Seven’s coverage of the Moscow Olympic Games and from that point on joined HSV7 in Melbourne. He became involved in almost every major sporting event covered by the network, including Summer and Winter Olympics, VFL and AFL Grand Finals, Australian Open and Davis Cup tennis, Australian Masters golf and Seven’s coverage of the US Open. As a presenter he has read news and sport for Seven, hosted the Royal Children’s Hospital Good Friday Appeal, World Of Sport and 4 Quarters. 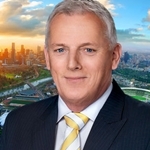 He left the Seven Network at the end of 2013 and took up a new role as commentator for Fox Footy in 2014. Between Seven and Fox Footy, Roberts is said to have covered over 1100 VFL/AFL games including 19 grand finals. Roberts will continue to commentate AFL for radio but will make his last TV appearance on Fox Footy in a special edition of Open Mike on 19 March. Source: news.com.au, Fox Sports. 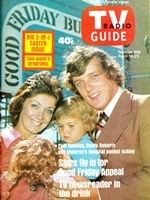 TV Radio Guide, 20 July 1974, 10 April 1976. 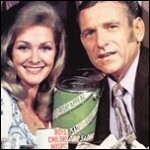 Sandy Roberts is a TV legend in Australia! He’s voice was made for footy commentary! Champion commentator and presenter all round!